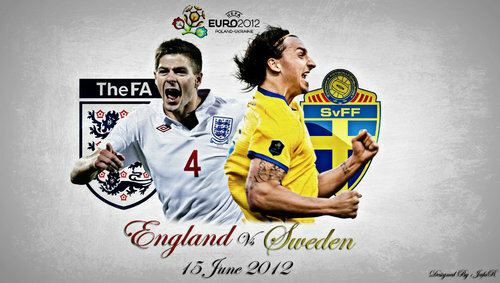 EURO 2012: Sweden - England. Tonight it's time for Sweden's 2nd game in EURO 2012! Sweden are playing against England in this game. The game starts at 8:45pm (20:45), which is in exact 25 minutes. This is the 2nd round of Group D. The game takes place in Kiev, Ukraine. Sweden have to make at least 1 goal tonight to be able to go to quarter-final!